An analysis of complex trades within a multi-asset Portfolio, including present value (PV), hedges, deltas and Greeks based upon asset type, country and counterparty. 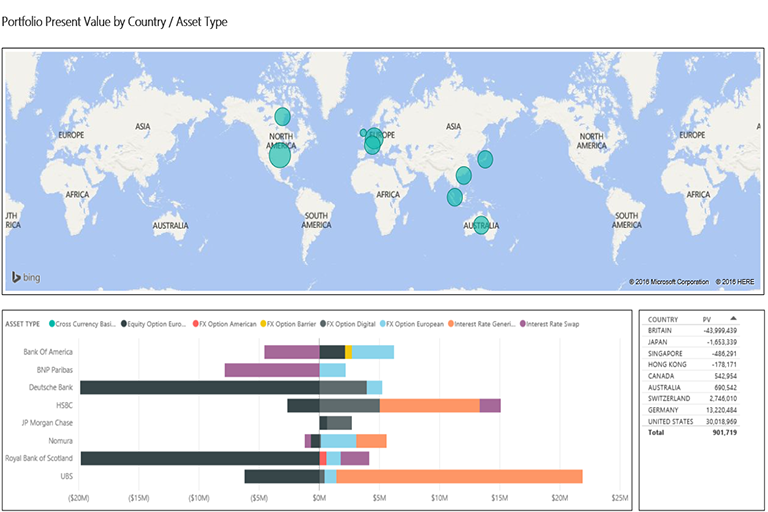 Geographical analysis of the present value (PV) for all the trades in a multi-asset Portfolio based upon the selected combinations of country, asset type and counterparty. 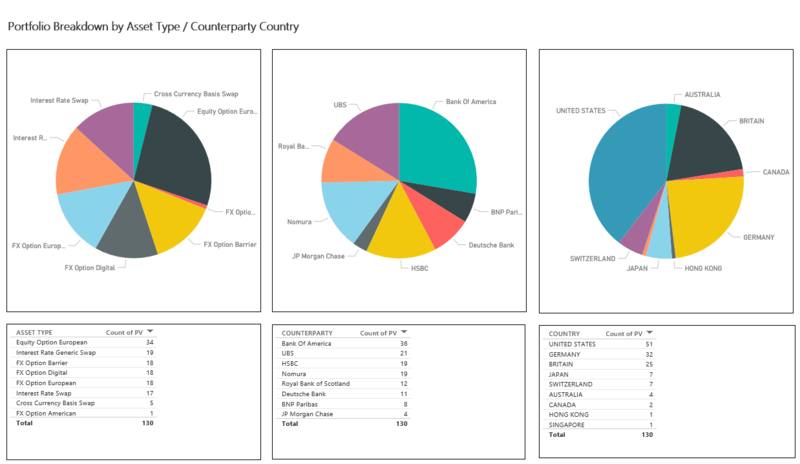 The second analysis shows the breakdown of the Portfolio (number of trades) by asset type, counterparty and country. The third analysis shows the total PV for the Portfolio historically (5 days) broken down by counterparty, asset type or country. 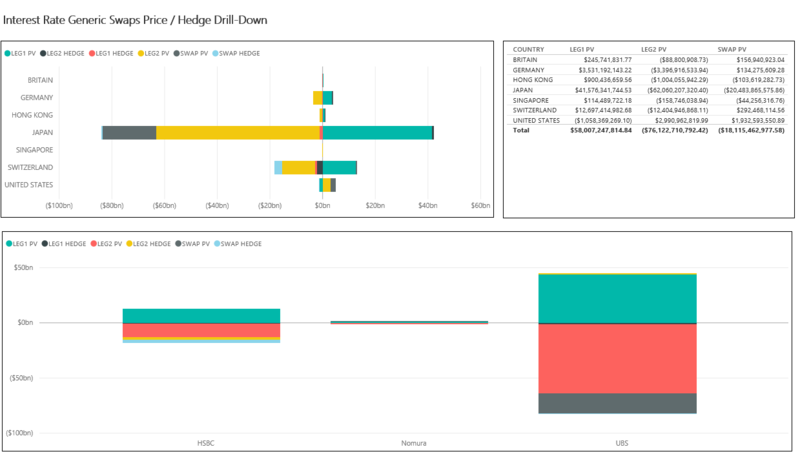 The remaining analyses cover in-depth drill-down for each of the types of asset in the Portfolio - for Interest Rate Generic Swaps it allows analysis of Leg1, Leg2 and Swap PV and Hedges, based upon the selected counterparty, currency, trade and individual interest rate curve assets to see how they affect each trade. For European Equity Options, the PV and Greeks (Delta, Gamma, Vega) are shown by currency and further drill-down allows analysis by option expiry year (e.g. 2016), option type (Put/Call) and Underlying asset (Equity). It is also possible to see all the options broken down by type and expiry year which can also act as a filter on the other visuals. The final analysis shows historical PV and hedge for Interest Rate Swaps for the selected country and drill-down by counterparty, currency, trade and individual interest rate curve asset for the selected day(s).